Baby Acne: What Is It, and What Causes It? About 1/5 of babies, mostly baby boys, are born with acne or develop it in the first six weeks of their lives. This baby acne is usually mild and appears on the face. Baby acne occurs due to fluctuating hormones after birth, so it usually disappears in a few months when hormone levels normalize. 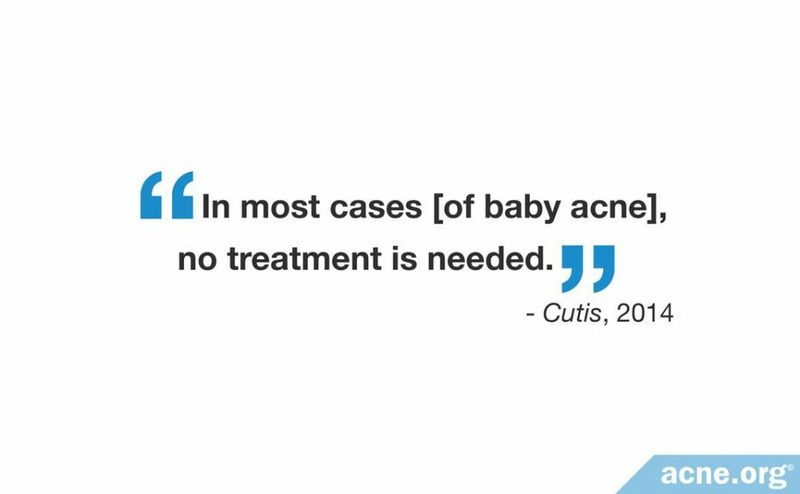 No treatment is necessary unless baby acne is severe or fails to go away on its own. 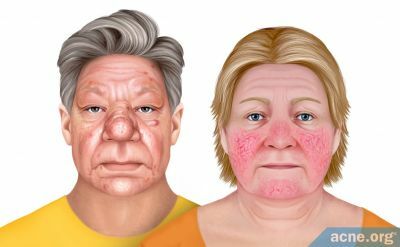 In such cases, doctors recommend topical treatments. 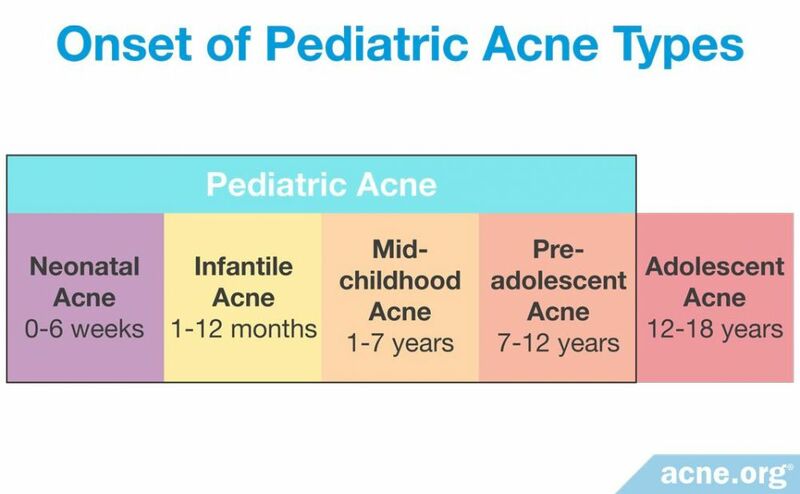 People who experience baby acne are more likely to develop more severe acne as teens than people who never had baby acne. 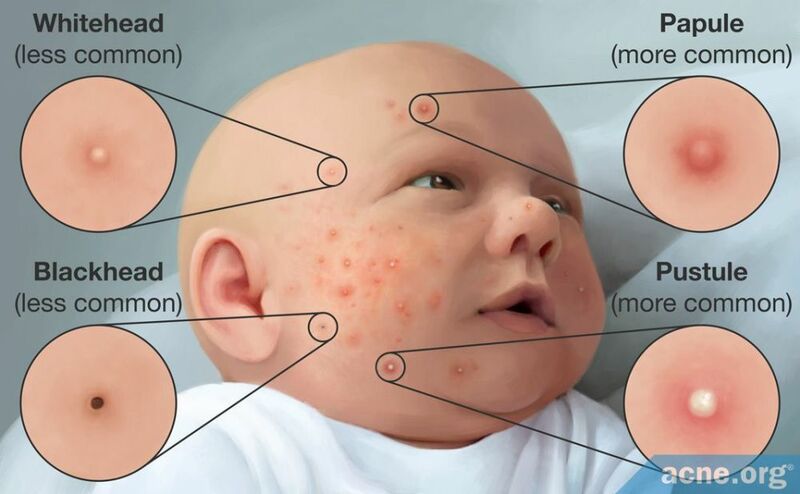 What Does Baby Acne Look Like? Where on the Face Does Baby Acne Occur Most? How Do You Treat Baby Acne? 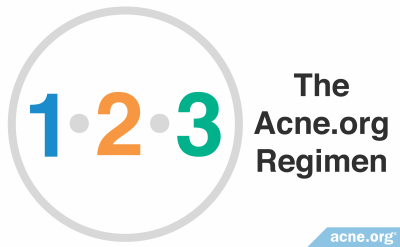 In most cases, baby acne occurs for the same reason teen acne does: hormone fluctuations. We rarely think of babies as having "raging hormones," but, in a way, they do. Before a baby is even born, while still in its mother's womb, it receives androgens (male hormones that are present in both males and females) from its mother.2 Just like in teens and adults, these androgens stimulate a baby's skin to produce more skin oil. Sometimes, too much skin oil is produced, and this, in turn, can be the first step in developing acne. In rare cases, baby acne may fail to heal on its own. Severe baby acne can also be concerning because it may leave scars. In such cases, doctors recommend topical treatments which are available over-the-counter. The suggested treatment depends on the type of acne lesions the baby has. 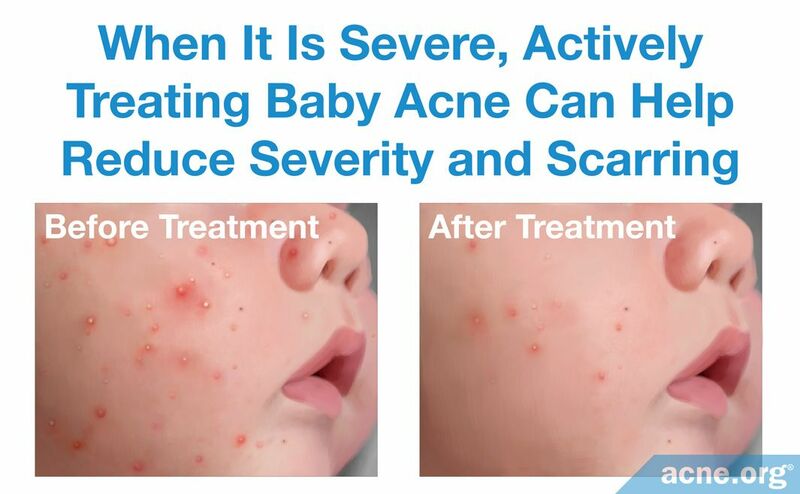 The baby's doctor may have to tweak these recommendations depending on how severe the baby's acne is. 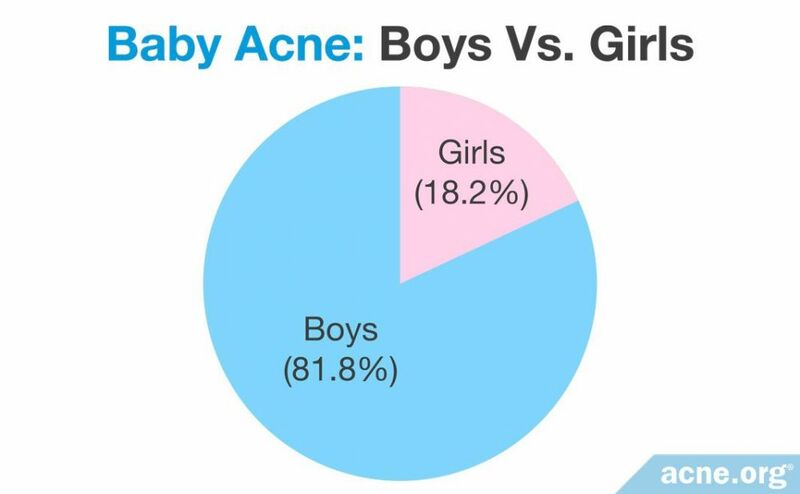 Baby acne affects about 1/5 of babies, mostly baby boys. It usually appears on the baby's face within the first 6 weeks of his life. 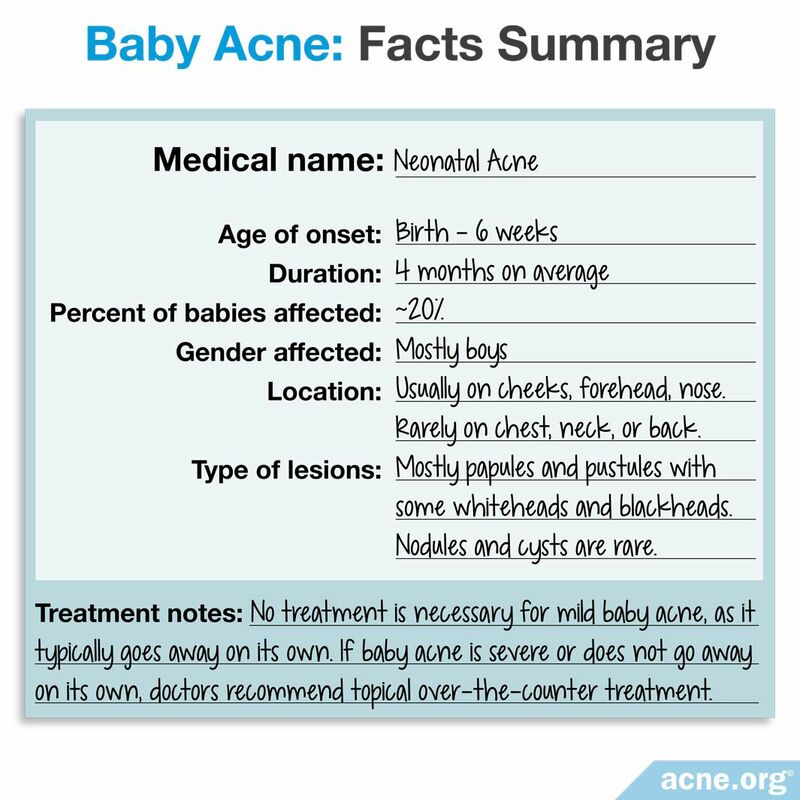 Baby acne is usually mild and goes away on its own, so it is rarely a cause for concern. However, baby acne that is severe or fails to disappear on its own requires topical treatment. If treatment does not work, it is important to see a doctor to rule out other underlying conditions like infections. 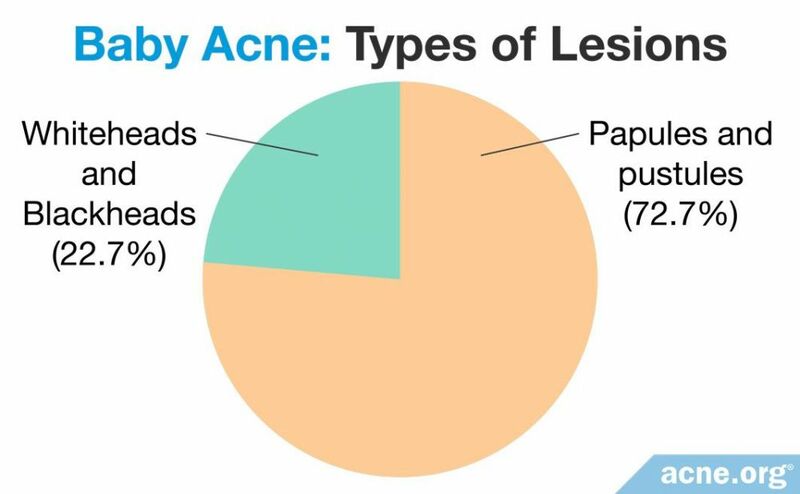 Katsambas, A. D., Katoulis, A. C. & Stavropoulos, P. Acne neonatorum: A study of 22 cases. Int J Dermatol 38, 128 - 130 (1999). 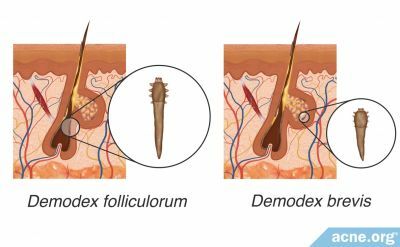 Serna-Tamayo, C., Janniger, C. K., Micali, G. & Schwartz, R. A. Neonatal and infantile acne vulgaris: An update. Cutis 94, 13 - 16 (2014). Samycia, M. & Lam, J. M. Infantile acne. 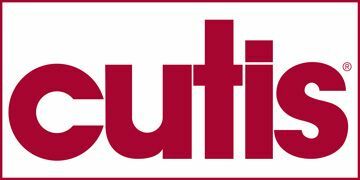 CMAJ 188, E540 (2016). Maroñas-Jiménez, L. & Krakowski, A. C. Pediatric Acne: Clinical Patterns and Pearls. Dermatol Clin 34, 195 - 202 (2016). Herane, M. I. & Ando, I. Acne in infancy and acne genetics. Dermatology 206, 24 - 28 (2003).